One of the newest additions to Canadian online casinos is live dealer casinos, which is an advanced type of online gambling site. 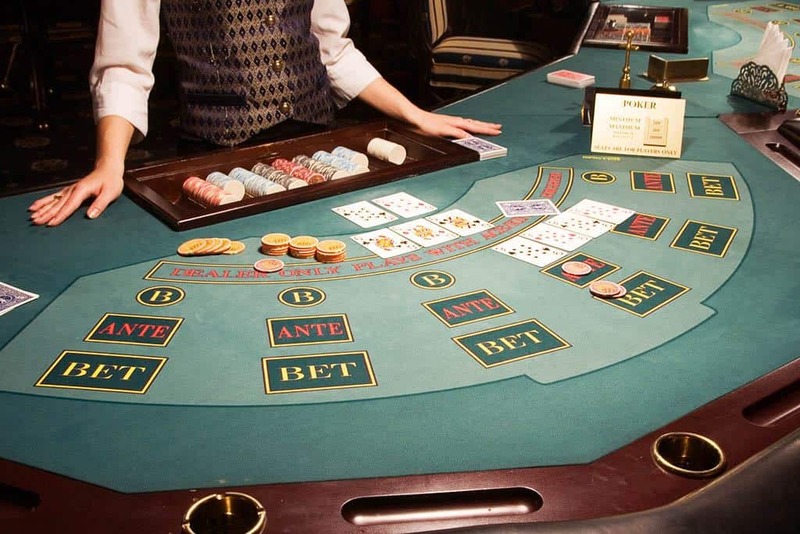 However, the difference is that with a live dealer casino, the dealer is a real person and the casino equipment like the roulette wheel or the cards are real. These live dealer casinos are streamed via video to your device, where you will place bets much like the online versions of the games. You will usually find three standard table games on offer at live dealer casinos, those being blackjack, roulette, and baccarat. You will generally find multiple tables for these games as well as fun variants and betting limits. Many live dealer casinos will also offer live poker games like three card poker and Texas hold’em. Players are able to interact with live dealers and it is usually conducted through a chat box. Players are able to type in the chat box and the dealer will respond. You are then able to ask the dealer questions about the game and they will also interact with you based on your actions. There are some live casinos that offer real time voice chat, which speeds up games and interactions as the dealer do not need to read the chat box. The speed of live dealer games can be slower than automated games due to the short delay in receiving the signal. If a player has disconnected, then the dealer will usually move on. Live dealer streams take up the center of the screen and players will have some extra information displayed like winnings, playing time, game limits and such. With games like roulette, there is usually a close up of the wheel when the ball is being spun so that you can see the real-time result for yourself. Players will also see the betting table, which is a digital display and players will place bets through this interface before the real dealer deals cards or spins the wheel. Many live casinos are now streamed in full HD, which offers crisp images so every part of the table action can be seen clearly by the player. You will be able to access a full range of live casino games from your desktop or from your mobile device. The gameplay that you experience will vary depending on your Internet connection and the browser that you are using. You will then need to make sure that the live casino that you are playing at is compatible with your browser or with your mobile device. How Do Live Casino Sites Work? Live dealer casinos are located in a studio, where the action is then streamed live via a video link that is being broadcasted on the Internet. If you would like to get started with live casinos, then you will first need to sign up to a reputable casino that is licensed and accepts players from Canada. Once, you have signed up to a casino and made a deposit, you can visit the game lobby and choose the live dealer casino game you would like to play. You will then need to pick a table that matches your bankroll and start playing. There are a number of benefits of live casino games over their online versions. Firstly, live casino games do not use Random Number Generators as the results are generated in real-time. This has led to many players trusting live dealer games more than the online games. Live casinos offer players an enhanced gambling experience as they simulate the experience of a land-based casino with the same sounds and gameplay. Live casino games are more sociable than online casino games as you will be playing with other players as well as a real dealer.